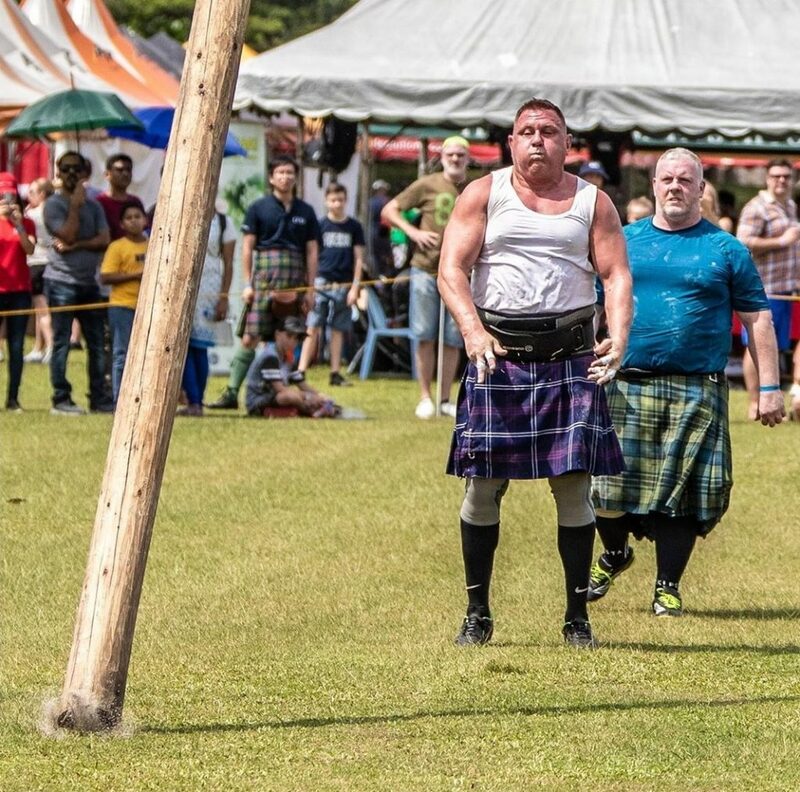 First and foremost, I would like to thank you all for supporting the Society’s 6th KL Highland Games. 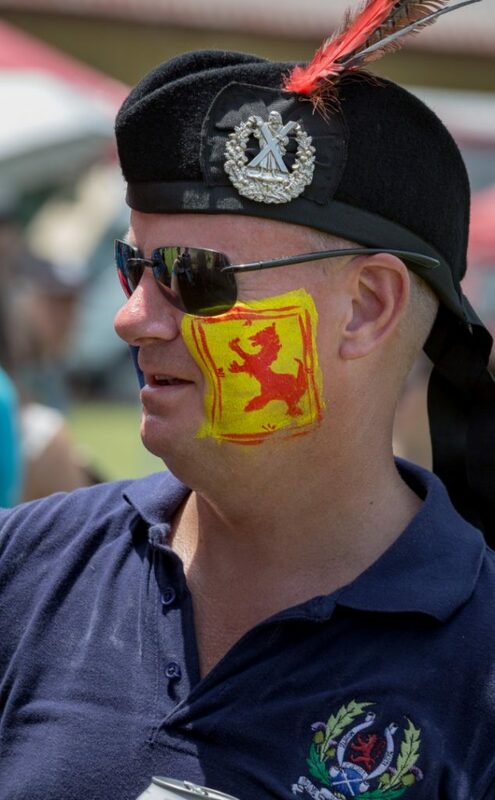 As always, it’s a big effort to put on such an event, and even more so this year because we brought the event forward from May to February, which meant that it came hot on the heels of the Burns Supper, and Christmas/ New Year holidays. So, this first quarter of 2019 was certainly a busy time for the Society, committee members, sponsors and our many supporters and volunteers. You are all appreciated so much. What a fantastic event! On an extremely hot day, we put on a show which KL can take great pride in! Over 5000 people attended, both as competitors, and as spectators, and it was so good to see all the happy smiley faces as everyone enjoyed their big day out. 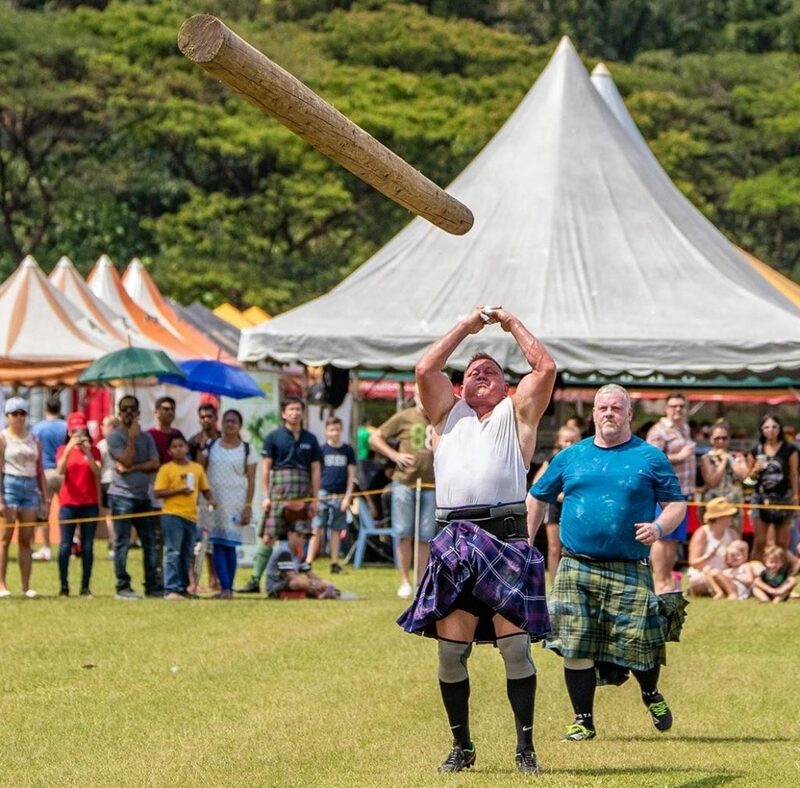 Our event included all that’s expected of a traditional Scottish Highland Games. We had our local St John’s Alumni pipe band, together with individual drumming and piping contestants competing in front of internationally renowned judges. We flew in heavyweight athletes from Scotland and closer to home, we had a local heavy from Singapore. 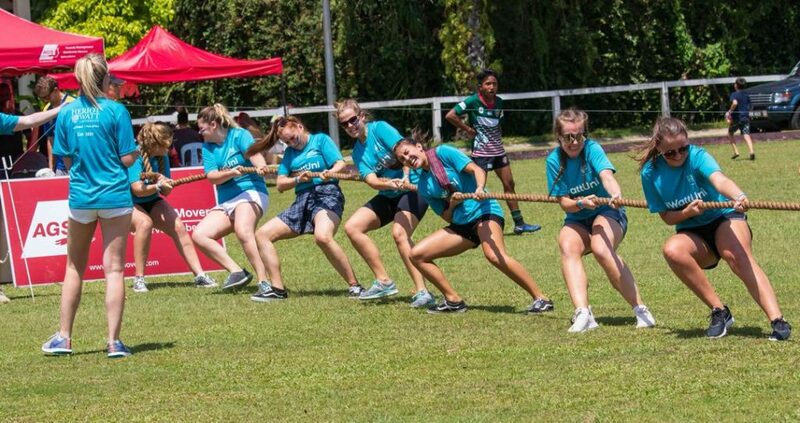 The tug “o” war competition was very competitive this year, with all the teams very much “up for the challenge”! The rugby tournament was our biggest so far, with 74 teams taking part, across all age groups. Our F&B outlets provided a diverse range of local and international food, and our tireless bar staff kept everyone supplied with the necessary chilled liquids, as the temperature soared. Our sponsors provided support together with products and services to interest the crowd as they moved around the various attractions and activities. 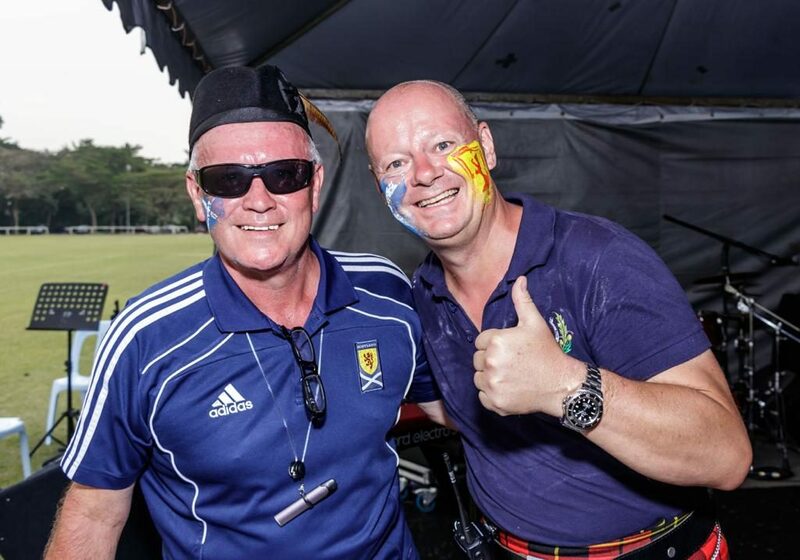 One of the highlights of the games was the large number of Heriot Watt University students who attended. 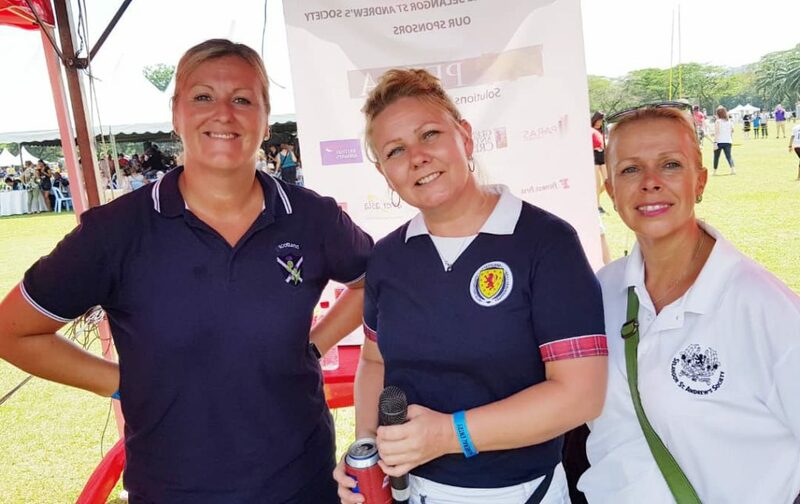 They not only enjoyed their day out as spectators, but also provided extra help and support on the day in several areas. They even managed to get amongst the medals in both the men’s and women’s tug “o” war competitions! Well done, you did your University and Scotland proud! 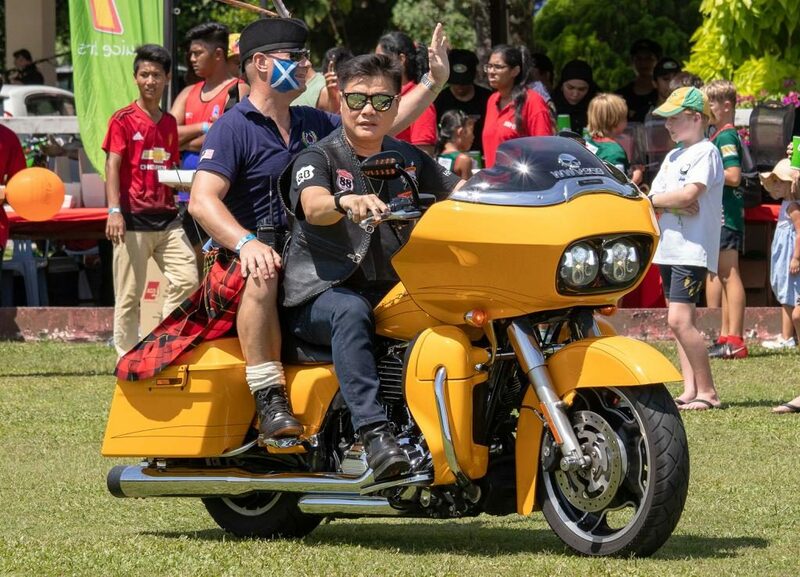 From a personal point of view, it felt great to have my face painted with Scottish flags, and to be driven in to officially open the games, on the back of a Harley. A moment I shall treasure. 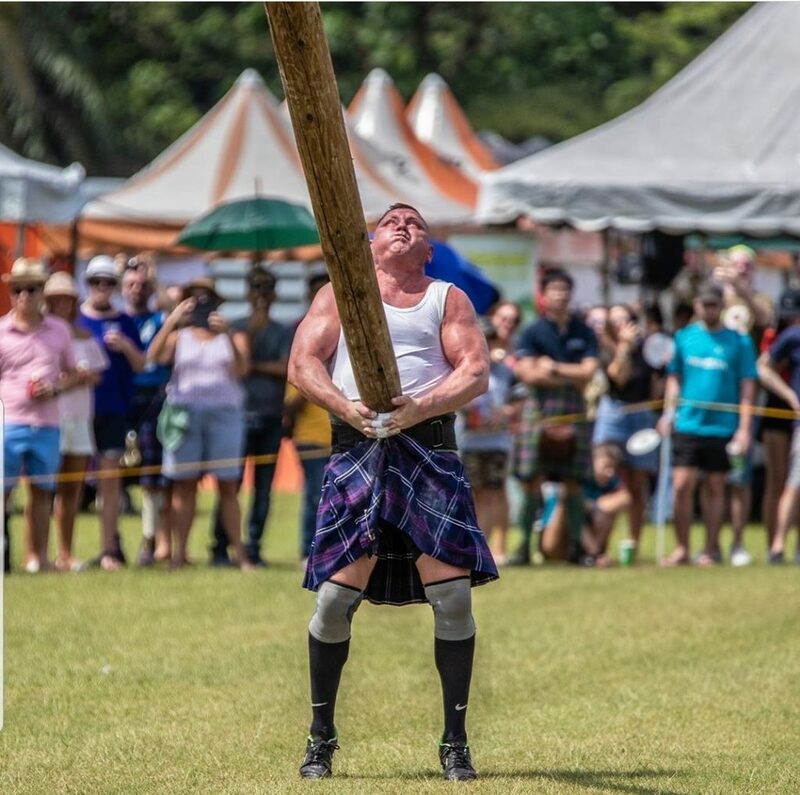 After the daytime activities, events and prizegiving, the evening kicked off with something a little bit new for the Highland Games. We brought in a couple of local bands to ensure the fun and dancing continued well into the night. Looking back, it was an event which everyone enjoyed, with lots of positive feedback. It was a big success all round! We’re already looking forward to next years games on 29th February 2020. A few words about the Morrisons Academy Pipe Band from Scotland. 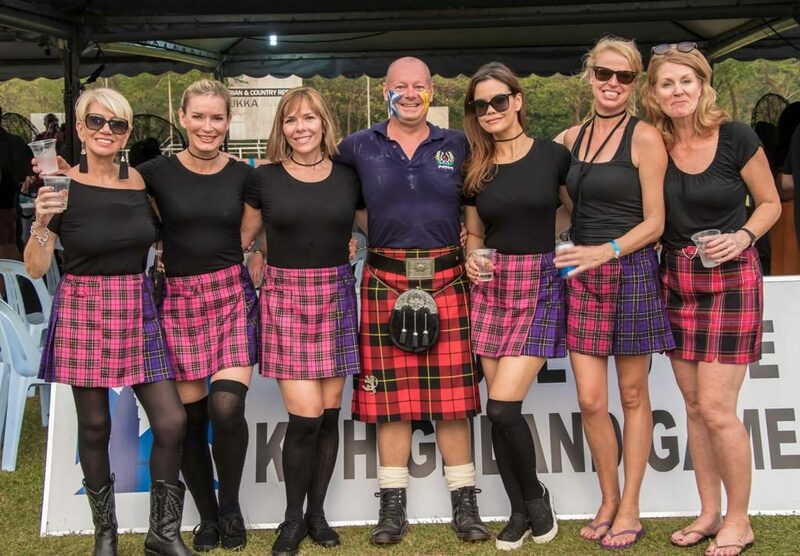 They will be in KL in April, and in collaboration with the Impiana Hotel, will be performing at a special Scottish-themed dinner at the “Cedar on 15” restaurant on Friday 12th April . This event will be supported by the Society, and it would be great to see as many of you as possible come along to this event. Please click on http://www.ssas-online.com/morrisons-academy-pipe-band-performance/ for details on how to make your reservation. The AGM of the Selangor St. Andrew’s Society will be held on Friday 26th April 2019, commencing at 6.30pm. For members, you should already have been sent a formal notification. After such a busy time, we will be enjoying a more intimate social gathering, following the AGM on Friday 26th April 2019. Come and join us for an evening of celebration of Scotland’s best-known export and bring a bottle of your favourite tipple to share (no corkage). Pit your wits to figure out where the 5 tasting whiskies come from, in our Whisky tasting competition. As the Society term year 2018/19 draws to a close, I would like to thank my committee, our members, sponsors, volunteers and supporters for your contribution to a successful year. For the coming year, we will look to build on our successes, learn from our experiences, and go from strength to strength. For us to maintain this momentum, we would love to see more of our existing members attending our events, new members joining, and for those who can contribute more time, you’re most welcome to join our committee. I look forward to seeing you at the forthcoming AGM & Whisky tasting event.